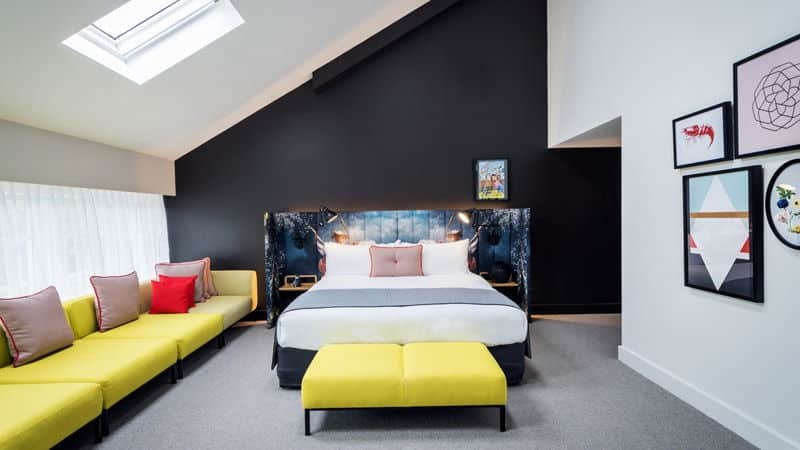 Ovolo Woolloomooloo Hotel is proud to be a member of the Small Luxury Hotels Group. Small Luxury Hotels of the World™ (SLH) matches independently minded guests with independently spirited hotels. The diverse collection of over 500 hotels in more than 80 countries around the world includes everything from cutting edge design hotels and city centre sanctuaries to historic country mansions and remote private islands – all SLH hotels are consistently different, however, they are all united by the fact that they offer the best locations, highest quality, personalised service and a truly authentic way to discover a destination. King-size your stay with a whole lotta extra space to play with! Because pillow fights are more fun with the beds apart. Because pillow fights are more fun with the beds apart and the amazeballs Sydney skyline as your backdrop.